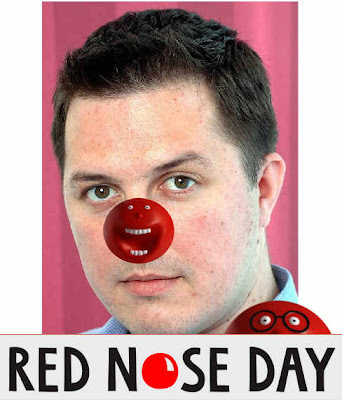 Today is Comic Relief day in the UK - where comedians gather together and try and inspire the UK population to give generously to a wide selection of charities. 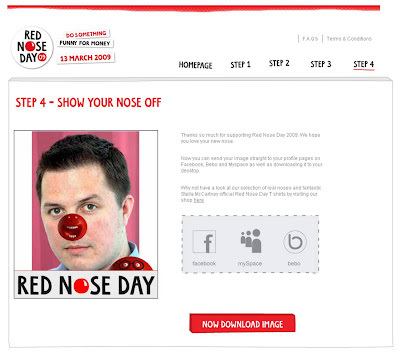 Since conception 21 years ago, Comic Relief's most prominent aspect has been 'Red Nose Day'. Originally this was about people wearing plastic red noses, however over the years this has evolved with red noses for cars and other things being introduced. 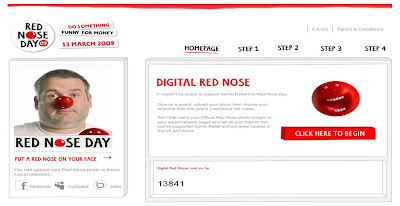 For 2009 there is also a Digital Red Nose, available for a £1 donation from www.digitalrednose.com. 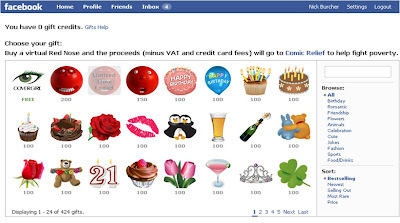 All very easy, a nice use of digital and, with over 13,000 downloaded so far, a healthy sum raised for charity. 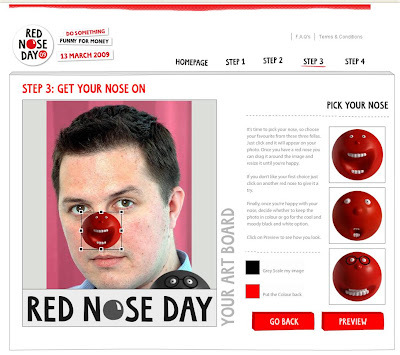 Get your Digital Red Nose here!